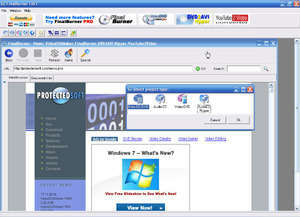 FinalBurner is a burning program which includes a few useful burning tools that includes features like Data CD and DVD burning and the ability to create audio and video CDs. The application layout of FinalBurner is a little bit dated but does provide quick access to its main features. All of the features offered can be accessed directly from the main window. FinalBurner can create basic audio CDs directly from MP3 files which it converts to the CDA format. Version 2.24.0.195 is a freeware program which does not have restrictions and it's free so it doesn't cost anything. For security reasons, you should also check out the FinalBurner download at LO4D.com which includes virus and malware tests. Additional screenshots of this application download may be available, too. 4 out of 5 based on 22 ratings. FinalBurner FREE has a presence on social networks.